Elara still loved you, but you didn't share her affection. You ended your romance with Elara. 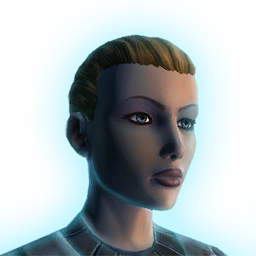 After meeting you on Iokath, Elara Dorne has joined you as a member of the Eternal Alliance. Despite your time apart, your love for Elara is stronger than ever. You've decided to continue your romance. Elara reunited with you on Iokath and took issue with your past actions. She will never call you commander again. Disgusted at the idea of serving the Empire, Elara chose not to join the Alliance. After reuniting with Elara Dorne and renewing your relationship, things have changed and you no longer care for her in the same way.